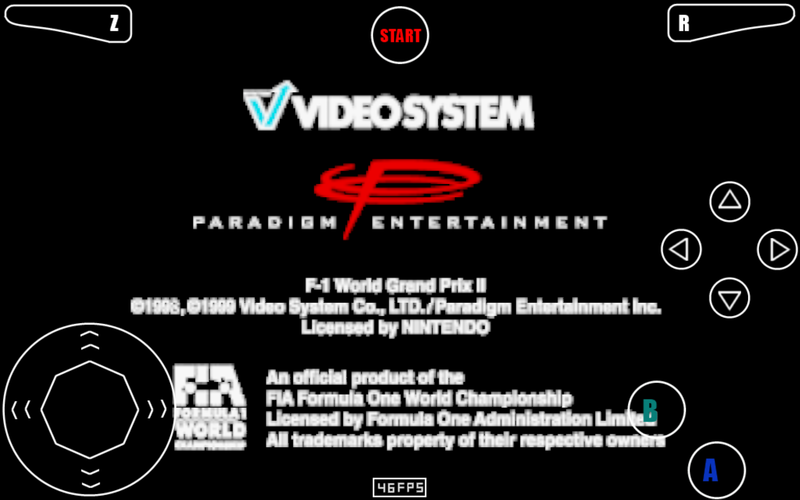 Was the offest patch pushed to the recent RetroArch release with the new xmb interface? Mario64 tree shadows. The lateset release has broken a few things various missing textures etc and re2 now instantly crashes on boot. I'd propose the change of the analog stick moving to wherever you placed your finger within the outer circle rather than having to drag it from it's central point outwards to move in all directions with a white touch input dot showing it's current location, gradual analogue movement doesn't feel right on a touchscreen and having your thumb pressed down in the same area tends to hurt after a few minutes it's like the old plastic controllers that had rock hard a and b buttons that left an imprint. Basically what i'm refering too is using the analogue stick more like an eight way d-pad. The halo outline effect and circle flip texture remains though. We're only posting supported games? ok which? where as for mupen64ae it shows the characters but backgrounds are broken. With gles 3.1 the inventory screen appears as normal the same as gln64. but gles 3.0 doesn't show up anything. 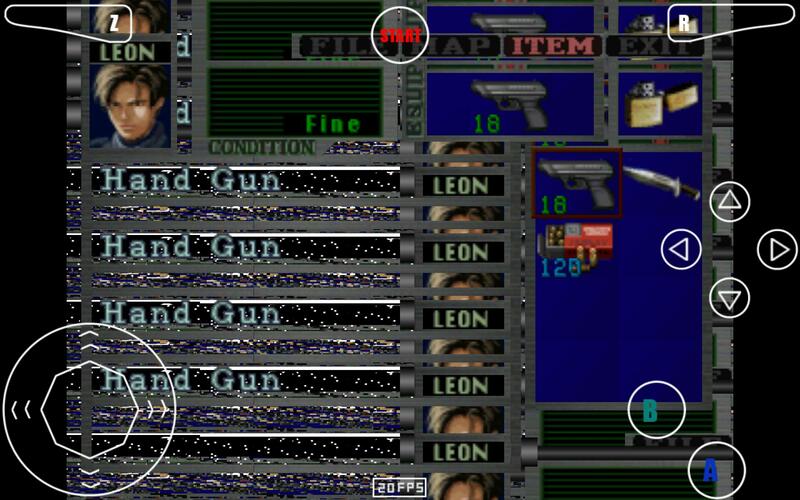 The inventory screen in re2 with gles 2.0 is overlapped multiple times, it also shows an extra slice on the right side border. Anyone else seeing major slowdown in fcube in every plugin except glide64? 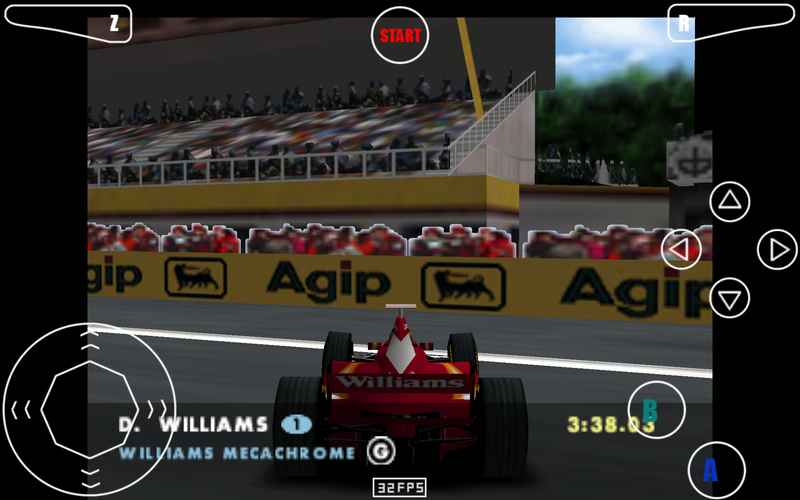 glide64 runs it 60fps all the over plugins struggle to reach 10-16fps, rice manges 20fps+as next fastest. Strange gles 3.1 is working but 3.0 doesn't and 3.1 is showing the same graphical glitches as gln64. between resolutions and angling it like a parallelogram. half before refreshing / scrolling the texture leftwards when flipping around this happens in rice also. Some textures also have a extra white halo outline around them, glide64 also has this problem. I think it has something to do with scaling and "native" resolution versus real native resolution. From the 1080p screen,it has square gridding much like some older gif player with any non-dithering gif. Maybe there is an alternate way to make it scale that doesn't allow square gridding while possibly gaining a few fps of performance. I still wish to get a less obscure detail than Mikhail's of what manifest to edit with android:dither="false" command. I can't even view xml files properly on Android,I guess I need to use the computer to read a copy,change the value,get the copy onto the device,and then overwrite the original. But from what app in root directory? The AndroidManifest.xml within the apk, rename .apk to .zip and you'll see it. It's been a while since I edited a apk but I believe I used the above tool in the past. Also have some command prompt / batch commands for extracting apks and repacking / resigning them which is quicker for small edits, I'll try and find them on my comp tommorow for you. cd player should all appear with colour banding without dithering applied. How does the Force 4x MSAA for gles2.0 option that's been under developer options since jelly bean work then? when I select AA in Dolphin it says only 1x is supported. instanced rendering and transform feedback. Max Anisotropy is listed as 16x with OpenGL extensions viewer. like the height and width got inverted. view though which doesn't happen with any of the over plugins. Nexus 7 2013 - Kitkat v4.4.4, v66 Adreno320 development driver.